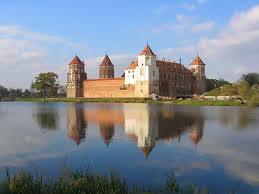 In geographical terms, Belarus lies at the heart of Europe. It borders the European Union. Its capital Minsk can be reached from London by plane in less than three hours. Even so, the first time visitor may encounter a number of features of life here that will surprise. An apparent obsession with Red Tape and Bureaucracy, particularly within Officialdom, can both amuse and infuriate. Certain aspects of promenading the streets may catch the eye. A visit to the museum offers a fuller experience than might be expected. And symbols of the country’s turbulent twentieth century history offer a hint as to the national psyche. Belarus is not the only country in the world that requires visitors from abroad to obtain visas as a condition of entry. Stretching from the United States in the West all the way to Australia in the Southern Hemisphere, via Kenya and Vietnam in between (all likely destinations for the tourist), an array of visa rules await. Earlier this year, the Belarusian government was pleased to announce a relaxation in visa requirements under certain controlled conditions for visitors crossing the border from Poland into Byelovyezhskaya Puscha National Park. Unfortunately, completing the application for exemption matched the application for a visa itself in complexity! The secondary obligation to present a migration card for stamping on arrival to report details of a traveller’s temporary address and duration of stay can sometimes prove to be difficult, but is not entirely unique either. If travelling on a trip organised by a travel agency, the procedures required by the regulations will be taken care of. The agency will offer visa application support in advance, and then after arrival, registration of the visit in the form of a stamp on the obligatory migration card will be taken care of by the host hotel. However, those who choose to travel independently will encounter more of a challenge. The visa application is not particularly difficult and seeks no more information than is required to enter the United States for example, but the subsequent process of registering at the local Citizenship and Migration Office can call for endurance, patience and a calm head. Registration must be completed within five working days of entering the country. It pays to make this task a priority and if a Russian speaker is available to go with you, preferably someone local, then the path will be less tortuous. In the final analysis, obtaining a stamp on the obligatory migration form sets a non-negotiable task. Do not overlook it. Stepping into the road to cross lines of cars in London and other major Western cities can be a stressful business for pedestrian and motorist alike, with jaywalkers and cyclists crossing every point of your peripheral vision. Not in Minsk. For starters, do not expect to see anyone riding a bicycle. And even with little or no traffic in sight, whether on a side street or an eight-lane boulevard, pedestrians will always wait for the clock on the stand of traffic lights to tick down to green. The rules are universally observed, which means you never step off the pavement until the green light invites you to. Do not play fast and loose with this. If you do, a militiaman will appear from nowhere to ‘have a word’. Belarus still boasts a police presence per capita amongst the highest in the world. Contrast this, however, with the statistic that London’s faceless officials peer through more CCTV cameras than can be found in Minsk. At times, museums in the West present significant overcrowding, such that a long wait just for entry can be expected, followed by difficulty in getting close to exhibits for a good look. At best, self-led tours with only an audio guide and headphones for company make the visit an isolating one. A trip to the museum in Belarus offers considerably more, but do be sure you have allotted several hours for the experience. Particularly in the provinces, you may find very few fellow browsers. If you go at the right time, a personal guided tour of the exhibits by a local expert, perhaps even the curator, will be offered. Your guide will want to show you all there is to see and will have a huge amount of detail to share. This presents a fine opportunity to receive a wealth of information on a one-to-one basis that will help you to understand the country and its people, though it does not lend itself to speed. Do be sure to allocate enough time. Minsk is beginning to present a more welcoming face to visitors from the West in the form of readily available information in English. One good example can be experienced at the excellent Belarusian State Museum of the Great Patriotic War, relocated in 2014 to Pobedy Park. The exhibits feature informative English display boards that paint a vivid picture of all that transpired here in the brutal days of the 1940s. Other Minsk museums of more specialist interest present a greater challenge for non-speakers of Russian or Belarusian, but with notice in advance it may be possible to arrange an English-speaking guide. Alternatively the travel agency in charge of organising your trip will be able to provide someone, though at a cost. One example of niche interest is to be found at the Azgur Memorial Museum, dedicated to the life and work of renowned Belarusian sculptor Zair Azgur. The exhibits here are simply magnificent. To this day the gaze of the old Bolshevik Lenin, leader of the 1917 Revolution, continues to anticipate a brighter future as he stands guard on a plinth of granite (or at least, concrete) in every Belarusian city, town and village. Equally ubiquitous, reminders of the suffering at the hands of the Nazis endured during the Great Patriotic War are to be found never far away. Whether doleful memorials to the lost, or glorious celebrations of heroism, citizens and visitors alike are exhorted never to forget the sacrifices made by their forbears. This small sample by no means encompasses all that a first-time visitor may find different about Belarus; after all, travel offers an entirely personal experience and each visitor will have different impressions. Yet all are likely to conclude that a visit to this fascinating country holds much of unique interest in this corner of Europe. To be successful, reforms need a strong political leader. A Belief in Wide Discussions and Consensus is a Myth – says Ivan Mikloš, a Slovak politician "father of the Slovak reforms", who will participate in the upcoming Kastryčnicky Economic Forum, Minsk. The potential for solidarity in the Belarusian society is vanishing – according to the results of the research conducted by the Centre for European Transformation and the Belarusian Institute for Strategic Studies. The awareness of civil society organisations in Belarus has risen over the last years – Pact releases findings from a national survey conducted by the Independent Institute of Socio-Economic and Political Studies. Polling Memo: Stable Society? CSO Awareness has Risen, Participation Remains Low – For the second consecutive year, Pact releases findings from a national survey conducted by the Independent Institute of Socio-Economic and Political Studies (IISEPS). According to survey results, the number of Belarusians who are aware of CSOs has stabilised at around 50% in 2014-2015, which is almost 20% more than in 2013. At the same time, the level of Belarusians’ trust in CSOs dropped from 37.7% last year to 32.2% in 2015. The level of citizen participation in public activities remain low – around 20%. Explore the full text of the polling memo in English. Russian-language version is also available. Potential of Solidarity of the Belarusian society is vanishing – This is a key finding of the fresh study conducted by the Centre for European Transformation (CET) and the Belarusian Institute for Strategic Studies (BISS). The study is a continuation and development of the 2014 research on the potential for solidarity among CSOs. Belarusian society turned out to be even more amorphous, divided and atomised than the civil society. Amplituda TUT.BY: Belarusian Society has Outgrown the Politicians who Represent it? – The Belarusian society has outgrown the politicians, so the society and politicians are not interested to each other. In the next five years economic challenges require responses from everybody. Such opinions were articulated in a regular issue of the Amplituda program by Valery Kalinousky (Radio Svaboda), Elena Artemenko (BISS) and Nikita Belyaev (Liberal Club). Human Rights are Much Better Respected Here, in Belarus – New analytical resource IMHOClub.by posts an interview with a political refugee who returned to Belarus after 15-year living in the Czech Republic. The former publisher of the Belarusian opposition newspaper For Will, anarchist Yuri Puzikov tells "idleness in the EU simply killed him". As a result, he realised he wanted to be useful for his country and returned to Belarus to his girlfriend. BISS Political Media Barometer (April-June 2015): The Media, But Not Politicians Set the Tone in the Coverage of Elections – Belarusian Institute for Strategic Studies (BISS) presents basic findings on media representation of political forces. Namely, elections much more influence on the communication of individual politicians than political forces. Leaders among politicians become Mikalai Statkevich, Tatiana Karatkevich (first presented in the ranking) and Anatoly Lebedko. Belarus 2015 elections: A cautious rapprochement with the West – Alena Kudzko, the Central European Policy Institute (CEPI), considers that the instability in Ukraine, Russia’s increasing pressure to permit it to station its military airbase in Belarus, and the drastic worsening of the economic situation in the country are all factors that may motivate the Belarusian government to seek geopolitical and policy alternatives and new partners. The time is ripe for Europe to anchor a more pragmatic and realistic long-term approach to its notorious Eastern neighbour. Same Old, Same Old? Belarus Votes – BISS senior analyst Dzianis Melyantsou together with a visiting scholar at the Carnegie Endowment and project director at Pact Balazs Jarabik prepared an article that analyses the presidential elections in Belarus. The authors believe that Belarus’s domestic situation and external environment have changed since the last elections in 2010. The 2015 electoral process, warts and all, shows how the Belarusian regime is attempting to adapt to these changes, while trying to keep the Soviet-style state machinery going. Elections–2015: An illusion of unity before reforms start? – In its analysis of post-election situation, BISS warns that one should not expect the newly reelected president to implement large-scale structural reforms, contrary to what the West would like to see in Belarus. Only sporadic point transformations will be a lot likelier in the areas, which cannot do without changes, and where such modifications will have no political impact on the authorities. These conclusions are supported by Alexander Lukashenka’s recent statement against radical reforms. Support for Reform is Important Not Only for Democracy, It is Not Accidental that Authoritarian Systems are Populist – Why developing countries are so vulnerable to a global financial crisis, why reforms need a "guillotine" and what errors are made by reformers – these issues are raised by Marek Dąbrowski, one of the speakers of the Kastryčnicky Economic Forum, KEF (3-4 November, Minsk), in his interview to TUT.BY. Marek Dąbrowski, a senior fellow of the Centre for Social and Economic Research CASE, worked in the Polish reformatory government of Leszek Balcerowicz. To be Successful, Reforms Need a Strong Political Leader. A Belief in Wide Discussions and Consensus is a Myth – Ivan Mikloš, a Slovak politician and the former Minister of Finance of Slovakia, is known as "father of the Slovak reforms". 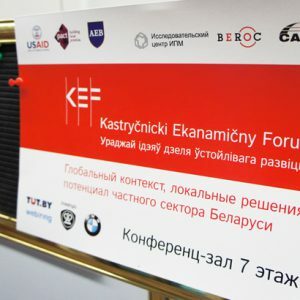 Ivan Mikloš goes to Minsk for the first time to participate in the Kastryčnicky Economic Forum, KEF, and tells in his interview for TUT.BY, what determines the success of the reforms, if there is a risk of political suicide for the main reformer and why this issue is not necessary to consult with the people.